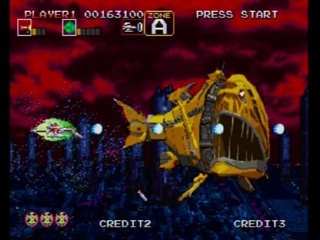 This is a classic Darius game with a high level of difficulty and mechanical and biological bosses like huge fish. 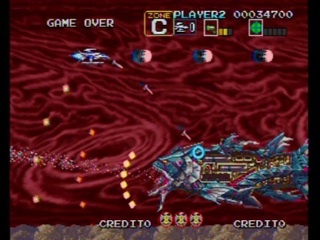 When you complete a level you can choose one of two different paths for your next stage. 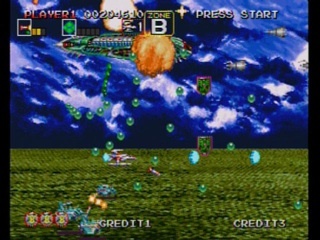 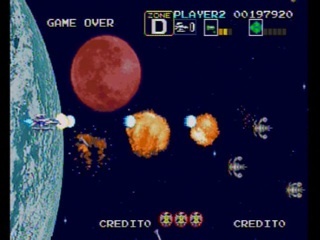 You can therefore complete 7 stages out of 28 total.